We are cavers. We are explorers. 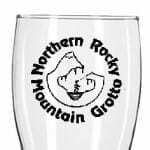 We are the Northern Rocky Mountain Grotto (NRMG), a recognized chapter (grotto) of the National Speleological Society (NSS). We are Montana’s only grotto! Chartered in 2000, our purpose is to promote the discovery, exploration, scientific study, and conservation of caves and karst. Our club consists of over 100 members who actively survey, inventory, map, photograph, monitor, and recreate in caves in all parts of the state of Montana, Idaho, the Northern Rockies, Canada, and beyond! Although our core group is centralized in Montana, our membership is diverse and currently spreads across Washington, Idaho. Wyoming, Utah, Texas, and California! The NRMG is a unique club – we are very spread out, yet somehow we’ve kept our club active and together for over 15 years! Cavers in Big Sky Country are a special bunch – it is in our blood – why else would we descend below one of the most beautiful places in North America? Because our caves are amazing. Some devote their entire lives to exploring. Our vast, uncharted wilderness areas are prime areas for discovery. In 2014, grotto members exploring the Bob Marshall Wilderness discovered Tears of the Turtle Cave, surveyed to 1629 feet deep, becoming the deepest limestone cave in the United States, displacing decades-long record holder, New Mexico’s Lechuguilla, at a relatively “shallow” 1604 feet below the surface. America’s third deepest limestone cave is also in the Bob Marshall Wilderness, Virgil the Turtle’s Greathouse at 1586 feet. Montana’s longest cave, Bighorn Caverns is over 20 miles and still going, and Montana’s first state park is also the state’s only commercial (show) cave, Lewis and Clark Caverns, the site of our annual meeting. In 15 short years our members have mapped hundreds of new caves in the Rockies and around the world. Our membership base is very diverse with ages ranging from 10-80 years. The grotto is a 100% all-volunteer, non-profit organization. It is our mission to provide a forum where people can learn about and participate in caving. Our Annual Grotto Meeting (AGM) is held at Montana’s first state park and only show cave, Lewis and Clark Caverns, administered by Montana Fish, Wildlife and Parks near Whitehall, Montana. The AGM is our annual convention, a weekend full of fun – presentations, campfires, caving and so forth. The event has become fairly standardized: Friday is a cave clean-up, Saturday we have our annual business meeting and multiple presentations from members, and on Sunday we have more presentations and an afternoon caving trip in Lewis and Clark Caverns. The state park has a campground and three cabins which we reserve for the weekend. This is a well-attended event and a great opportunity to meet cavers from all over the state. Our meetings are announced on this website, our Facebook page, and through our email group. Cave Camp was started in October 2016, and is expected to be an annual gathering of cavers who get together for workshops, training, and wild caving. The 2016 Cave Camp was held October 14-16th at the Rotary Club in Monarch, Montana, which is central to many diverse Montana caves. Read more about Cave Camp here. These are informal events that any member can sponsor – as a member, you are encouraged to sponsor a Pub Night! As the name suggests, Pub Nights are often sponsored at a local Montana brewery or tavern, but may occur anywhere, including members’ homes. Pub Nights may or may not have a presentation and have frequently occurred in Whitefish, Missoula, Bozeman, and Billings. These gatherings are encouraged as a local venue for cavers to get together. Please note that minors are welcome at “Pub Nights.” Typically, you do not need to be 21 or over for these events. We are grateful to our northern caving neighbors in the Alberta Speleological Society (A.S.S.) for sharing this concept as a venue for fellowship, camaraderie, and inspiration. There is perhaps no better way for members to find out who’s caving in their area and make some plans! Volunteers are needed in Great Falls, Helena, Idaho, and elsewhere. Contact us for information on how you can host your own Pub Night! Caving trip plans are emailed via our Google Group and are often decided at Pub Nights or announced spontaneously. The majority of caving trips in Montana occur in the short summer season (late June until September) due to heavy mountain snowpack often present in caving areas. There are plenty of exceptions, however! For folks outside the northwest, keep in mind “summer” in the mountains starts in July! Weekend caving opportunities are numerous. 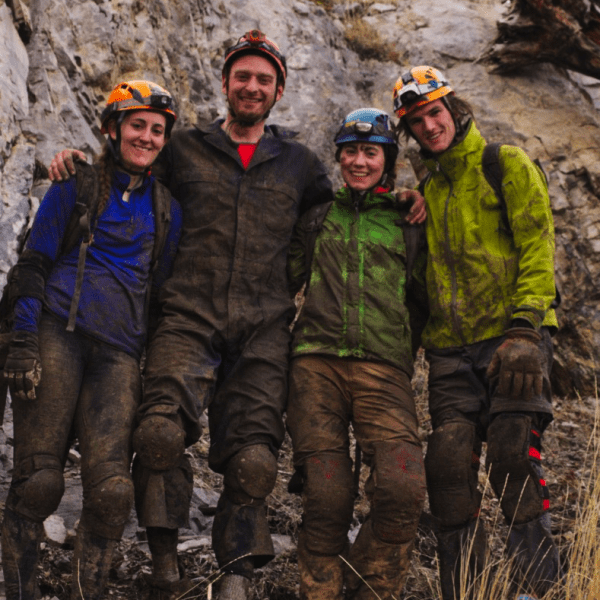 Becoming a member and staying active in the grotto is the best method to get involved with caving in the Northern Rockies. Many of our members are involved in long-term, wilderness expedition caving, mostly in the Bob Marshall and Scapegoat Wilderness areas, as well as caving in the Grand Canyon, Croatia, Turkey, and Peru. If you are interested in expedition caving, you are in the right place! Due to the short caving season in alpine karst regions and the logistics required to access these areas, opportunities for discovery are prevalent. Experience in alpine caving, outdoor emergency care, self-rescue, winter survival, mountaineering, and rock climbing are desirable prerequisites. Most of Montana’s great caves require rope work. Becoming a “vertical” caver is an amazing experience as it greatly increases your options in recreational caving, especially in Montana, where most caves worth visiting require ropework. On-rope training, or “SRT” (Single Rope Technique) is provided infrequently at various locations and times. SRT Training was offered in October 2016 at Cave Camp. In the past, training was sponsored in Bozeman at a local rock-climbing gym, and also at Mulkey Gulch near Drummond. Flathead valley cavers also recently attended a training event in Canada, a few hours’ north of Whitefish. Montana currently has three caving clubs! 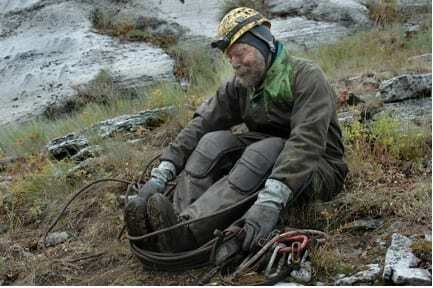 The Big Fork High School Cave Club in Bigfork, MT, led by intrepid long-time Montana caver and high school science teacher Hans Bodenhamer, and the University of Montana Cave Club in Missoula which was started in 2015 by Ellen Whittle, Ben Broman, et al. UM Cave Club members are offered free membership in the NRMG as long as they are students, and of course, you have to be a student at Big Fork to be a member there. Big Fork High School students monitor caves using GIS in Glacier and Grand Canyon National Parks. Our partnership has resulted in the purchase of caving gear for use by out-of-state cavers in order to reduce this possibility. Want to utilize our loaner gear? Use the “Contact Us” form at the bottom of the page. -Under no circumstances should caving gear used in WNS-affected areas be used in non-affected areas like Montana and the Western US. The grotto has loaner caving gear available for free to prevent this from happening. -Let someone know where you are going and when you will return. Teenagers were recently rescued out of Ophir Cave without incident because they let people know where they were going and when they were expected back. Need motivation? Google “Aron Ralston.” Consider purchasing a personal locator beacon (PLB). -Minimum caving gear includes a helmet with a chin strap and three sources of light. Candles, lighters, cell phones, and “glow sticks” do not count!! These values are endangered by both carelessness and intentional vandalism. These values, once gone, cannot be recovered. The responsibility for protecting caves must be formed by those who study and enjoy them. All contents of a cave — formations, life, and loose deposits — are significant for their enjoyment and interpretation. Therefore, caving parties should leave a cave as they find it. They should provide means for the removal of waste; limit marking to a few, small, and removable signs as are needed for surveys; and, especially, exercise extreme care not to accidentally break or soil formations, disturb life forms or unnecessarily increase the number of disfiguring paths through an area. Leave nothing but footprints, take nothing but photos, kill nothing but time. We’re looking at you to support the NRMG! We invite you to become a member of the Northern Rocky Mountain Grotto. Basic membership is only $12 annually per household. Privileges of membership include access to exclusive email lists, membership forums, access to caving trip announcements, trip reports, training, our annual meeting, digital library, the latest newsletter, and more! You can pay with any credit card via our secure PayPal interface. Instant access: Click the button below to sign up and receive instant access! Please note: You will be billed for $12 USD/Year.